Talking about fragrance everybody has its own choice. Some like Rose, some Jasmine, some sandal and so on. Some like fragrance of fruits like Lime, Orange or even mango. I still remember a cousin of mine came to my house and when I offered him mango to eat he said bro I don’t eat mango I don’t like the smell of mango. Weird it was, but anyways everybody has its own choice I personally like mangoes and its fragrance too. From fruit fragrances to flower to a petrol smell everybody has its own choice for it. 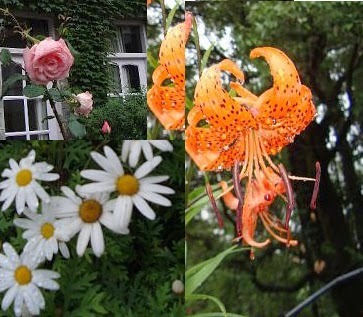 Talking about my evocative travel experience I one experience I still remember which brought me close to nature and some nice fresh fragrances was my Nainital and Ranikhet Trip from Delhi. A day before the trip I got the Godrej aer car freshener for my car and was nice and long lasting. I went with my in-laws on this trip. We started our journey late in the night to avoid the no entry at various routes in Delhi. It was 4.30 AM in the morning we were around 50 KM away from Nainital and I came out of the car to see the sunrise. The beautiful sunrise and the cold breeze on the hills and a mix fragrance of Roses, Lily and Marigold was an experience of a lifetime. After, reaching Nainital we stayed there for two days and then continued our journey to Ranikhet. On, our way to Ranikhet there were Mango trees, Litchi and Guava Trees. I came out of the car and got some mangoes from the mango tree. The fragrance which the fresh mangoes had was awesome. In seconds the fragrance of mango had spread in the whole car. I had never seen a fresh mango like this in Delhi with such a fresh fragrance. It was an experience to remember. A fragrance which makes you feel the freshness of it no matter where you are in the car or in your room it will work great!!! Like, if you have a lime car perfume it should make you feel as you have a lemon cut into two just next to you that is what I call a fresh fragrance. There are numerous items that can help the smell of one's car scents or truck. Most of these can be items that clip to your own ac vent out in order to ventilate the actual smell throughout the inside the car.